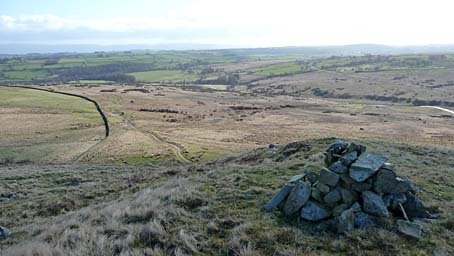 The farm track from the lay-by is seen down below with the Pennines on the horizon. Swindale Beck appears on the right. Larger version of this picture.